If you need a getaway, Los Cabos may be just the place. Beyond El Arco, the Arch, the cool Pacific meets the warm Sea of Cortez at Lands End. Lovers beach, accessible only by boat, calls to romantic sun worshippers. 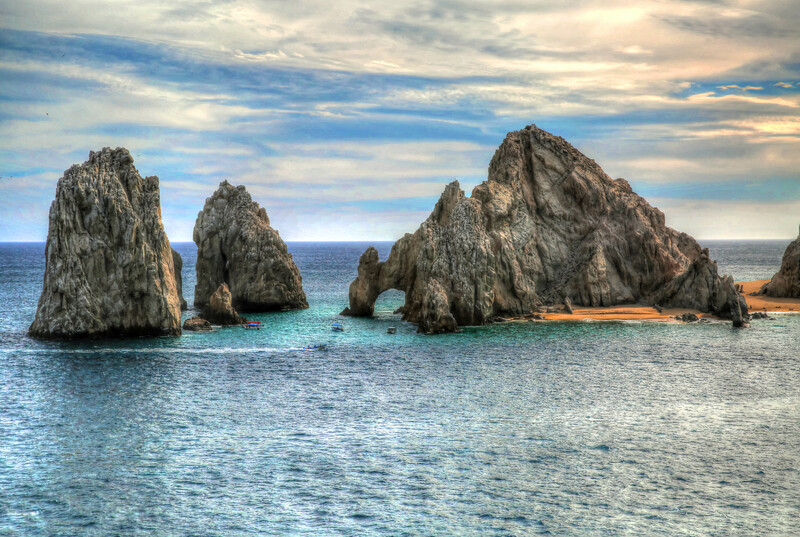 Los Cabos expériences between 300 and 350 sunny days each year. It’s almost always warm and sometimes, it gets very hot. When Sammy Hagar opened the Cabo Wabo Cantina in the ’90s, he helped turn Cabo San Lucas into party central. However, just a few miles north, San Jose del Cabo still clings to the sleepy fishing village vibe that symbolizes the relaxed kickback sensibilities of the Baja Peninsula. When it gets cold up north, or you just can’t wait for spring, El Arco at Land’s End is just not that far away. At Lands End, Los Cabos, the warm Sea of Cortez greats the cold Pacific Ocean.